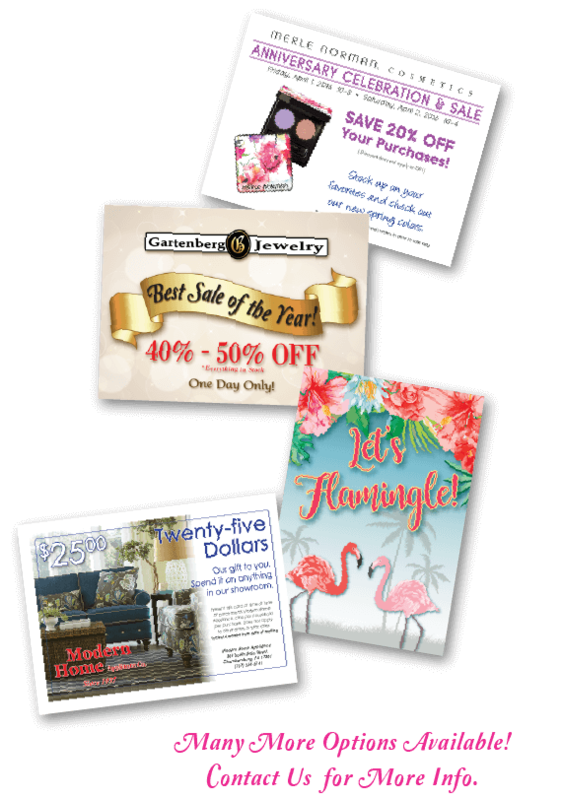 Postcards are affordable and are a highly effective direct-mail marketing strategy. They work for every industry, business to business, and business to consumer. A postcard is a quick and easy way to share important information. Post cards are popular because they are simple to create and inexpensive to print. Unlike other forms of direct marketing mail, postcards almost always get read. Our standard postcard is 4”x 6” and printed on 14pt coated or uncoated paper. 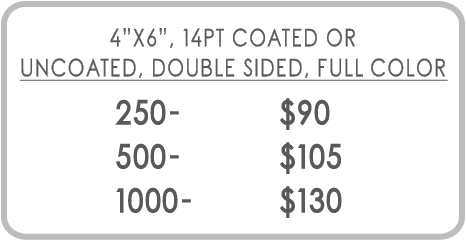 A variety of sizes and paper options are available.